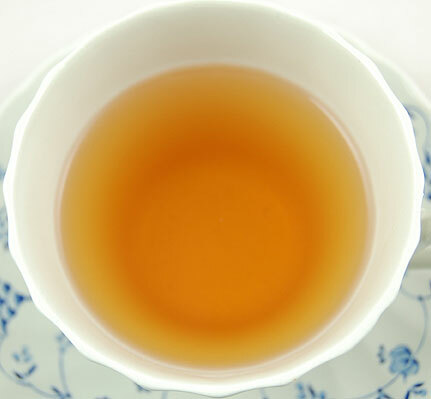 As the wind and rain whip against my windows this morning, I am thankful and happy to be cozy and warm inside sipping a cup of a new second flush Darjeeling from the Makaibari estate. I watch the tree outside my window which has lost all of its leaves now. It reaches its skeletal branches towards the sky in what appears to be a gesture of praise and gratitude for the water soaking the earth around it. This tea comes from the biodynamic Fair Trade Makaibari estate in the Darjeeling tea growing district in northeastern India. 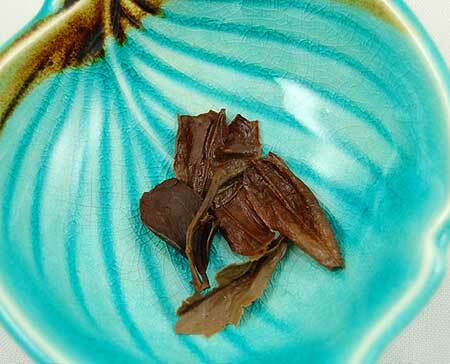 It has long leaves with the look of an Oolong tea, not a typical Darjeeling leaf which appears smaller. 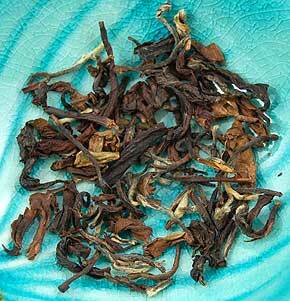 The dry leaf has a fair amount of tip giving it a variegated look. I place my nose inside my cup and I am transported to a fragrant orchard as I inhale the lush ripe aroma of a peach. The liquor is a beautiful honey color with the taste of ripe fruits and muscatel. I usually find a muscatel flavor note to be pungent but the taste is buttery smooth. What a treat for a gloomy November day! This entry was posted in Black Tea, Darjeeling Tea, Tea and tagged Darjeeling Second Flush Tea, tea review. There is something about tea that it makes you want to slow all things down and comfortably enjoy it. Even if I wss too busy, I always take about 15 minutes to enjoy a cup of tea in the morning, especially when no one is around. People have to try it to feel it. Very relaxing and light. Thanks for the post. Thanks for visiting and and sharing your comments about your tea experience!